So, you have your handgun and are a member of the club but maybe, just maybe you’re still a little unsure of the rules of the range or maybe you’re a little hesitant handling your firearm or maybe you would feel more comfortable if you had a buddy that could show you what to do. Well, now you do! From 7-8:00pm we will have members and instructors available to help you with anything as it relates to shooting at the club. This is your time to build your comfort and confidence in a relaxed atmosphere. This is not a class or formal instruction. It’s your opportunity to handle your firearm, shoot and have fun while understanding the range and safety rules with a seasoned club member. Please bring your firearm, ammo, targets and eye/ear protection. We’ll be there to help! Range closed for annual dinner. Please join us and help with our Spring Cleanup. We will be starting at 9am and will continue until the work is completed. Many hands make light work!! We will be raking, burning, hauling and sweeping.This is a fun day to get together that prepares our club grounds for the outdoor season. All ranges, indoor and out, will be closed until work is completed. We are holding another fun Snubbie/Back Up Gun match! Shooters will start with revolvers on the bench, loaded with the cylinder open. For autos, shooters will start with the auto on bench with slide open and magazine next to it. Please contact Dave Greenwood at dvdgrnwd@hotmail.com with any questions. We hope you can make it. We have four slots available first come first served. Contact Ray Gajewski raygaj12@aol.com If you miss the four, you can still contact the Mass Wildlife Hunter Education Office for registration information as the club does not handle enrollment in the class. This is a 2 day course. May 15 6pm-9pm and May 28th 7:30am-2pm. You must attend both days. Ladies, if you have ever thought about trying your hand at recreational shooting, here is your opportunity! Come join us for a women only instructional shooting clinic. 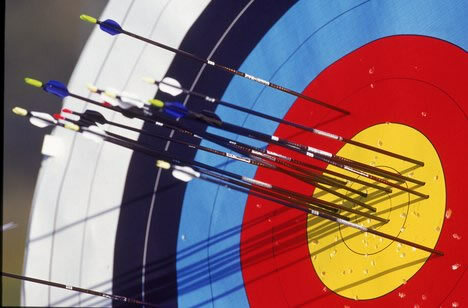 You will receive hands on instruction in shotgun, rifle, pistol, and archery by the fun, friendly and knowledgeable folks at the Marshfield Rod & Gun Club. All women are invited to participate regardless of skill level. No previous experience is necessary; just the desire to learn and have fun. The $50 tuition includes use of eye and hearing protection, all materials, lunch and basic firearm safety. This event is limited to 28 people and you must be at least 15 years old to participate. The event does not qualify you for a Massachusetts State Police Safety Certificate for License To Carry and FID Card applications. You must take the MRGC Safety Course to qualify. Please contact Roe Blanchard roefitforlife@gmail.com for information. 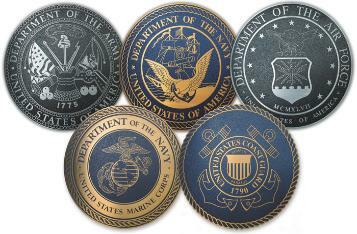 This year’s second Military Match will be held on Sunday, November 17th from 10am-2pm. This match will be held rain or shine. The match is open to the public, Club members and guests. Any firearm used by any military at any time is eligible for this match. There are some restrictions: Iron sights only, no optical sights allowed, either for rifles or pistols. If you want to see or use military weapons this is the time and place. Targets are large and range distances are short, 50 feet for pistols and 50 yards for rifles. 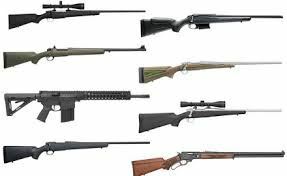 There is also a category for non-military firearms so if you want to see how your favorite firearm does against the military types, bring it on. Prizes are awarded in the different categories and as before food and drinks are complementary. Chili, clam chowder and other snacks are included in the match activities. For details see the match posters located in the clubhouse and at the various ranges. The wearing of military-type clothing is encouraged, but not mandatory, in keeping with the spirit of this event. While the match starts at 10 AM please show up early to sign in and register for the various matches. $5 per match. Please contact George McCarron glmcc2@verizon.net with any questions.